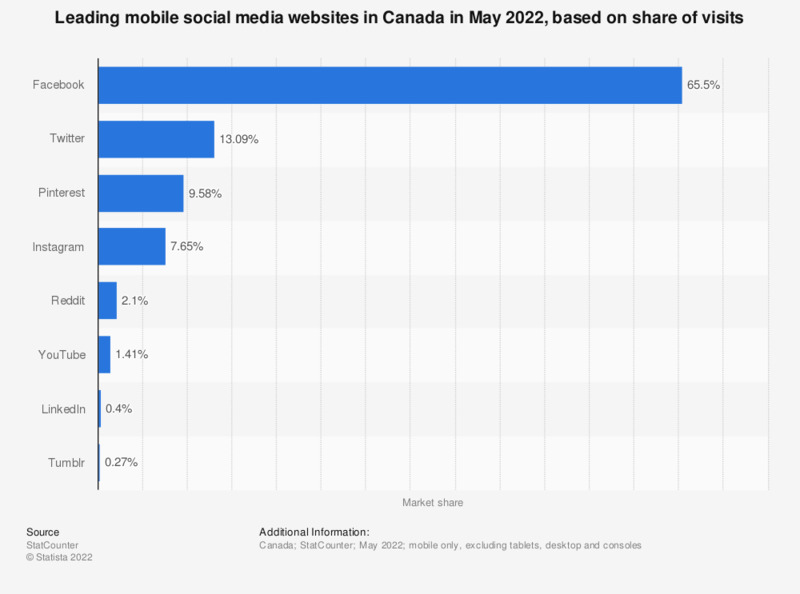 The statistic shows the market share of the most popular mobile social media sites in Canada as of January 2019, based on market share of visits. Twitter was ranked third with 5.4 percent of all mobile social media visits. Market leader Facebook accounted for 58.88 percent of all mobile social media site visits.